Big Bear Records might just be the UK’s longest-established independent record company. 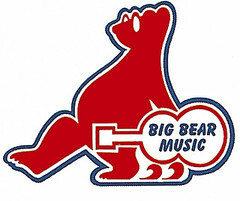 Based in Birmingham, England, Big Bear’s first release was in October 1968, a spoof ska 45 rpm single entitled “Rudi The Red-Nosed Reindeer” by a band whose nom-du-disque The Steam Shovel disguised the fact that they were, in reality, The Locomotive who had charted earlier that year with “Rudi’s In Love” in Parlophone. Thereby hangs a tale. Or two. Or more. Another time maybe. Simultaneously, the one-man empire was enjoying initial success with Big Bear Music’s Black Sabbath, who by default almost landed on the Big Bear Record label when no fewer than 14 major labels turned them down. Another tale. Initially recording legions of U.S. Bluesmen, the Real Deal, artists such as Lightnin’ Slim, Doctor Ross “The Harmonica Boss”, Homesick James, Eddie Guitar Burns, Tommy Tucker, Whispering Smith and many more . By the mid-70s, Big Bear had added UK (mostly West Midlands) acts to the recording roster, enjoying hits with Muscles and The Quads, both from Birmingham, and by the early ‘80s drifted into what it is known for today – jazz, swing and blues.